with Christy Whitman, delivers the most comprehensive success principle teaching and training available. The training focuses on aspects of preventive and holistic health education.The skills developed in our Programs will enable you to start or enhance your own holistic healing business. iNLP Center offers a variety of NLP trainings aimed to provide you with the highest quality, most affordable and comprehensive programs around. It is internationally recognized as a leader in NLP Training and Certification, serving thousands of students from around the world. 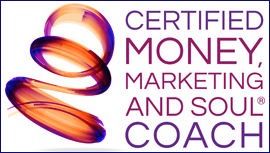 Kendall SummerHawk’s Certified Money, Marketing and Soul® coach training program (CMMS) is 7 done-for-you content modules, each complete with exercises, templates, coaching questions and more, you get trained and certified in, that you take out into the world and profit from. The MAP (Manifesting All Possibilities) Coaching Institute, offers a unique certification program for life coaches, psychotherapists, and licensed health care professionals who want to produce extraordinary results and confidently offer high-end packages. MAP is a new, revolutionary method in the field of psychology proven to help quickly rewire the brain on command. 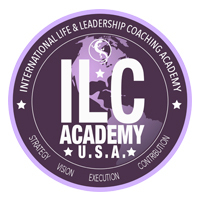 ILC International Life Coaching Academy is on International Life & Leadership Coaching Academy based in Miami Florida with presence in Chile, Ecuador, Colombia, Panama, Dominican Republic, Venezuela and Spain. Our mission is to provide opportunities for professional and economic growth through our Certification Programs. By understanding the forces that guide our behavior, value systems, beliefs and identity, the participant will have a deeper knowledge of the factors that produce the motivation to achieve results. Become part of an ongoing community of Life Coaches certified by Fernando Celis in constant development, and expansion, receiving ongoing information and learning experiences, through webinars, social media and workshops. Eudaimonic Coaching™ is a unique coaching methodology and certification. The curriculum involves an extensive grounding in evidence-based applied psychology combined with applied positive psychology coaching training. This will then prepare the trainee to understand how to transcend psychopathology and move toward positive psychology conceptions of happiness and meaning. Radiant Health Institute has created a unique offering for those interested in helping others to lead lives of true authenticity and passion. 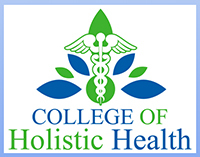 Holistic Coach training & certification program is a 100% face-to-face classroom experience. This class-as-community approach deeply enhances the learning process and promotes a warm, interpersonal bonding experience for all program participants. MLCC-NY is a Professional Life Coach training and treatment center located in New York City. We help you connect your head and your heart in ways that transform your passion for your dreams into action for your life. In this life coach certification program, you will learn how to help people change their thought patterns and discover solutions to life’s challenges to where they can enjoy more quality time with family and friends.